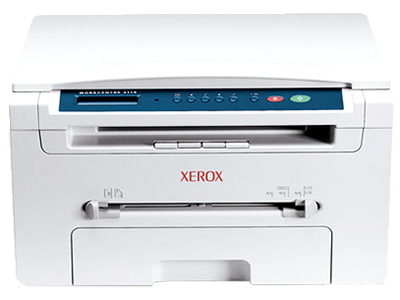 I got a all-in-one (color scanner, coppier, b/w laser printer) usb device, with mac support - Xerox Workcentre 3119 (they have a newer model now). It came with a CD, but you can download drivers from their site too. Printer drivers works fine, but scanner software is a TWAIN driver, and it installs fine too, but as a TWAIN driver only, with no stand alone scanning software. We have Photoshop on one of our laptops and now I can scan images by going to File > Import > Xerox WorkCentre. However on our other laptop we have Pixelmator, and it is a great inexpensive and capeable graphics editor, it is fast and lean, but it does not have import from scanner feature yet. Some forums and apple support pages recommended to use Apple's Image Capture utility that comes with OS, but it could not detect the device. It turnes out that Preview can scan images when TWAIN driver is installed. It is not as good as Xerox ScanThru, but it does the job. ScanThru works with Photoshop and other pro apps, but I could not find any way to use it as a stand alone application. However I can scan now, save and edit scanned images with Pixelmator. 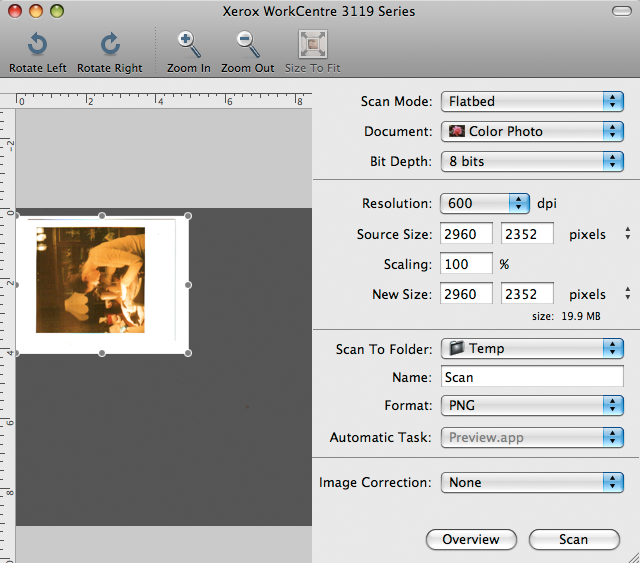 Preview and Xerox ScanThru side by side. Apple Preview is a very powerful application and it can do a lot. I am pretty sure that it will work with other scanners as long as you have drivers for them.